In more ways than one Bengalis and mishti are synonymous. This is Bengal's most prized gift to the World. So much so that now a days sweet shops all over India proudly highlight the fact that they also make Bengali sweets. I can bet if you look around in your locality you will at least find a shop which has that quintessential banner saying 'Bengali Sweets are available here'. While growing up I never took sweets seriously. I mean it was available every where, whenever I had a craving I could go to the corner mishti'r dokan (sweet shop) and can have my share from numerous types of offerings in every possible size, shape, colour, taste. It was later, much later when I moved to Delhi and found how crazy people are about Bengali mishti. no matter how everyone love making fun of our Bengali pronounciation with excessive stress on the 'O' sound people take Bengali mishtis seriously, very very seriously. and why not this art of sweet making dates back a long long time and needs a lot of patience, skill and finnesse. As per Dr. K.T. Achaya Bengalis appear to have possess a sweet tooth since time immemorial. It evolved as part of the plentiful availability of fresh milk. The fact that cheese making were never practiced in this part of the world, eventually it led to sweet making either by curdling the milk to get chhana (homemade cottage cheese) or by reducing the milk to prepare khoa or khoya (milk solids). Though initially curdling milk was not considered auspicious. Mainly because Ayurveda never encourages Hindus to take any spoilt food and splitting milk was considered the same. Amongst all these sweets Rashogolla enjoys the most cherished world wide fame. These syrup drenched soft and spongy balls are a delight in itself. and undoubtedly is Bengal's most famous gift to the world...I know at this point some of you will not agree with me. Yes, whether rasogolla originated in Bengal is a very debatable topic. 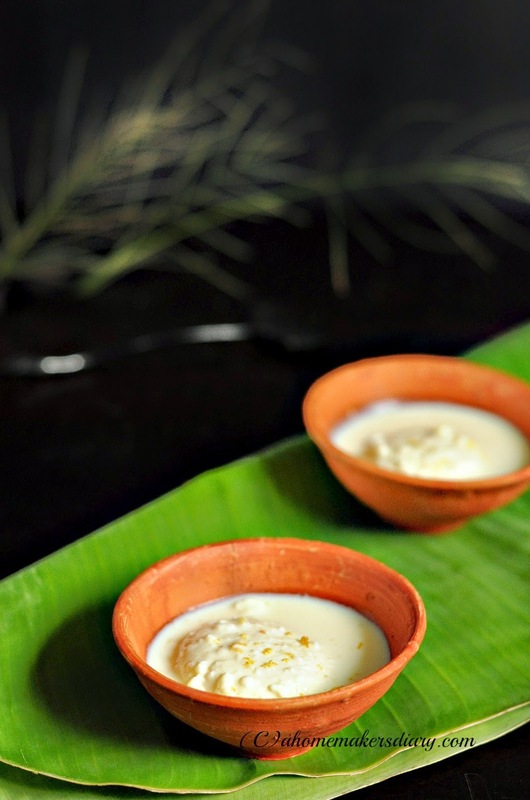 Most of the studies point to the fact that a similar dish called kheer mohan was born in the pahala village of Orissa. 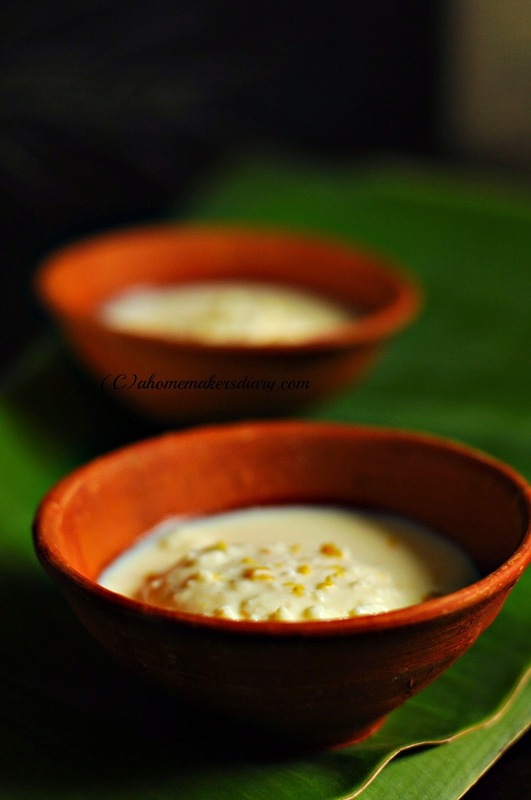 Though kheer mohan is different in colour and structure from that of its spongy counterpart from Bengal. 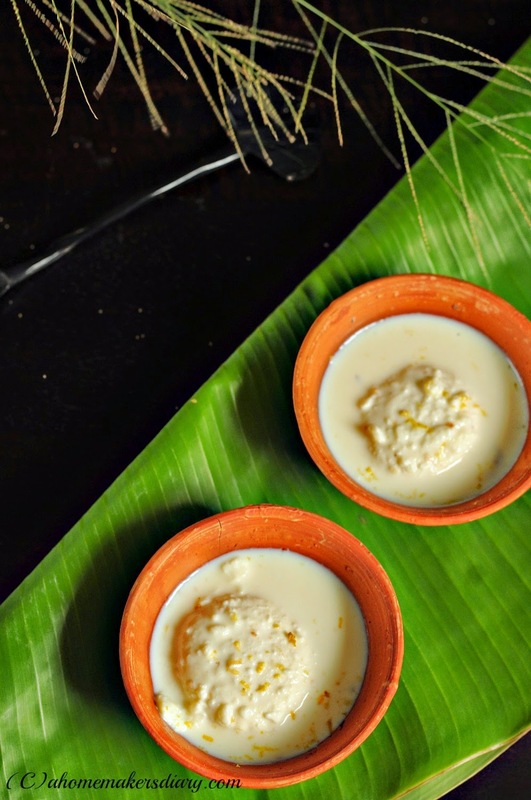 to start with unlike the pristine white of today's Rashogolla, Kheer mohan or kheer mohana is off white or brown in colour, crumbly in texture and tends to perish within 10-12 hours of it's preparation. It is believed that during the time of Renaissance many Branhmin cooks migrated to Bengal to work for the wealthy Bengali babu's home and with them Rashogolla travelled from Orissa to Bengal. If we look back in time we can se many evidences that even some 300 years back Rashogolla was offered as bhog to the Puri, Jagannatha temple. It is said that during the Niladri bije (ulto rath or the arrival of the God back to the temple after the Rathyatra) Lord Jagannath ofered this to Goddess lakshmi to let his convoy of Raths to enter the temple premises. If this study holds ground then It might also happen that Rashogolla actually took birth in this holy temple itself. 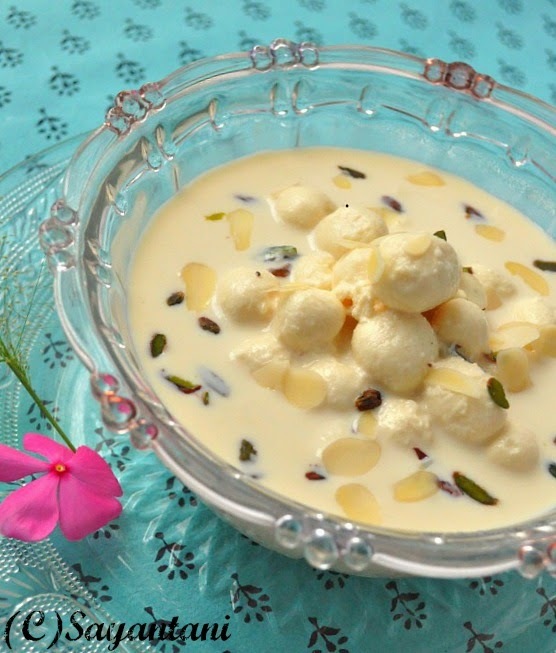 Later in the mid of 19th century Nobin Chandra Das, a Kolkata based confectioner brought this idea of simmering fresh soft cheese (Chhena) balls in sweet syrup. His vesion used a little different method and the resultant sweet was quite different in texture and colour. 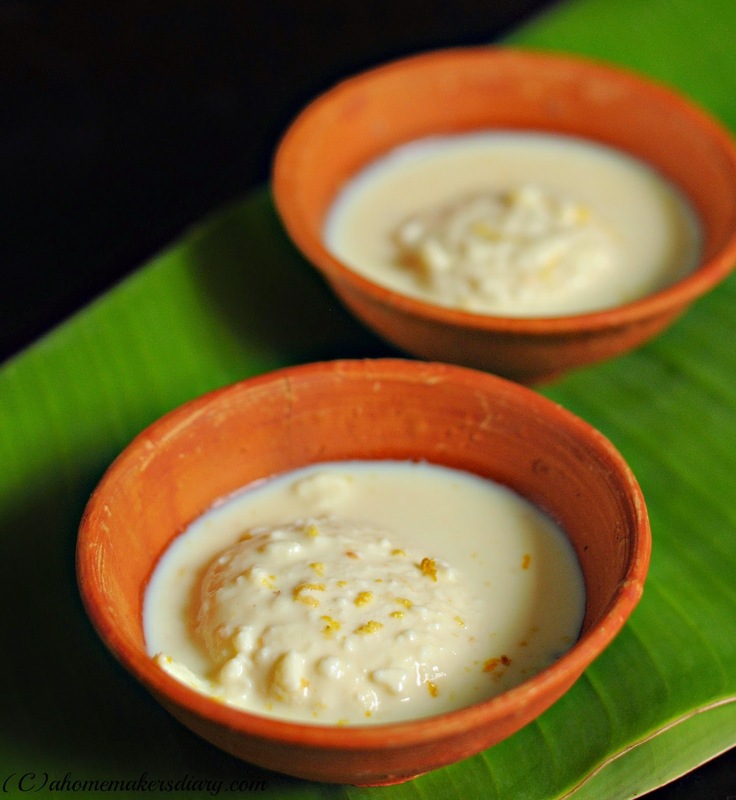 While the Kheer mohan is yellowish in colour and crumbly in texture the new rasgulla became pristine white and spongy. It the process also increased it's shelf life. Following which Nobin Chandra's son K.C. Das satrted canning and made it available to all Rasgulla lovers all around the World. In Bengal the cooks who prepare sweets are called Moyra and most of the moyra's working in Kolkata sweet shops come from Chandernagar, a french Colony. not very far from this place is Bandel, a town founded by the Portugese Settlers around 1571. They started making their own cheese which is famous as Bandel cheese now a days. This cheese is unripened and is made from Cow milk. The initial process of separating the curd from whey is similar to that if Chhena making and uses lemon juice. It is believed that while making cheese once it fallen into a bowl of sweet sugar syrup and that eventually gave birth to the spongier versin of Rosgulla what Bengal is so proud of these days. whether this theory holds ground or not the expert cheese makers the Portugese are, that must have some effect on the Making of cottage cheese. Another fact to remember is to use Cow milk for making Chhena for Rasgulla. The reason being Cow milk being rich in Casein protein (water in soluble protein that affects the sponginess of the Rasgulla) compared to that of Buffalo milk. 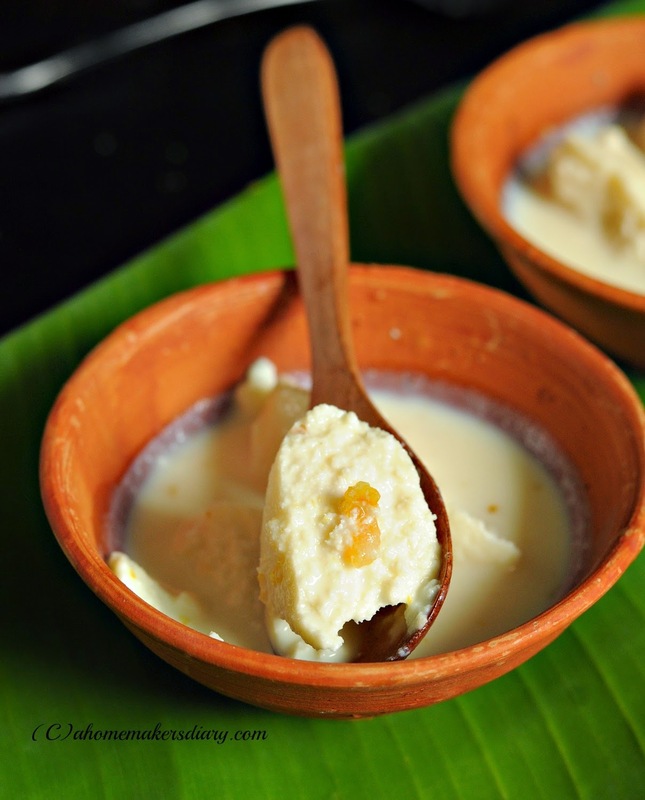 It is said that if you can master the art of Rashogolla making, you can make any Bengali rosh-er mishti (wet sweet). I cannot agree more as for many wet sweets this specific skill of roshogolla making is necessary. take for example Rajbhog, kamolabhog, Roshmalai, various types of Chomchom, kheer kadom, Angoori Roshmalai etc. Here is my version of Rosmalai or Flattened Chhena balls simmered in cardamom laced sweetened and thickened milk. You can serve make them the traditional way or can choose to flavour it with other flavourings. I often flavour the milk with Gandhoraj lemon rind. Another indigenous variety of lemon found only in Bengal. To take it one more step further I also have tried stuffing the chhena balls with candied gandhoraj lemon peel. The result was an intense lemony delight which my family and few of my friends who got to try it loved. Make it the traditional way or give it your little twist, try to make it this Diwali to woo your guests. Boil 11/2 liter milk in a heavy bottom sauce pan. Once it comes to a rolling boil add the lemon juice. Stir and decrease the flame. Once you see the clear whey getting separated cover, switch off the gas and let it stand for 2-3 minutes. Line a colander with cheese or muslin cloth. Pour the cheese in it. Wash this under running water to get rid of the lemony smell. Tie in a neat parcel and hang. Let the whey drain out for 30 minutes. Then place this on an inverted plate and press with another plate. Put some weight over it to drain the remaining whey. Keep it for 20 minutes. Now take this in a big plate and start kneading it. Gently press and spread it on the plate with the heel of your palm. Do this for 4-5 minutes or till a smooth dough is formed. Make 6-7 balls out of it. Roll between your palm to make the outer surface smooth. Press and make a flattened patty. Generally the two ends are little pointy. You can even make rounds and press them.Now take this in a big plate and start kneading it. Gently press and spread it on the plate with the heel of your palm. Do this for 4-5 minutes or till a smooth dough is formed. Make 6-7 balls out of it. Roll between your palm to make the outer surface smooth. Press and make a flattened patty. Bring the water and 1 cups sugar to a boil in a wide pressure cooker. Once they come to a rolling boil place the Flattened chhena patties in very carefully. Attach the lid and cook on medium till two whistles Let the steam dissipate naturally. Open and carefully take them out one by one. OR to cook the Chhena balls in a big pan bring the sugar syrup to a rolling boil. carefully put the patties in. let it simmer on medium heat till they are cooked. once the patties are done they will float on the surface of the syrup; approx. 12-15 minutes depending on the size. Once done the chhena patties will be double in size. While the patties are cooking bring another liter of milk along with the Condensed milk to a boil for making the rabri. It will take quite some time for the milk to thicken and almost reduce to half. once you are happy with the consistency add the sugar and flavour with cardamom powder. Take the cooled down chhena patties between your palm and squeeze some of the syrup out. Place them in the thickened milk and cook for a minute. Serve hot, at room temperature or chilled. I always prefer it chilled. You can stuff the chhena patties with orangette or candied lemon/orange peel. just chop them fine and stuff while shaping the patties from Chhena. You can stuff with chocolate pieces as well. Flavourings can be different too. Try adding freshly grated lemon zest to the rabri for that lemony aroma. being from Chandannagar, I can vouch for the mishtis from there. Loved them to death. the origin of chhana I think is debatable as you've mentioned. The author's name is K T Achaya, not Acharya :) I was planning to write an article on it Bengali mishti too but it requires a lot of reading. Do you know if it was available during Chaitnaya Mahaprobhu or not? Rasmalai with stuffing that sounds awesome.